I found this DIY from one of my favorite blogs A Pair & A Spare. I have been itching to make it all summer. I had my BF check his closet for any old shirts he no longer wanted, and He gave me two including this one. I turned them both into off shoulder dresses. It was probably the easiest DIY I've done. All you need is some elastic and a sewing machine. You can do it by hand if you prefer, but it would take much longer. Check out the link to the DIY and let me know what you guys think. 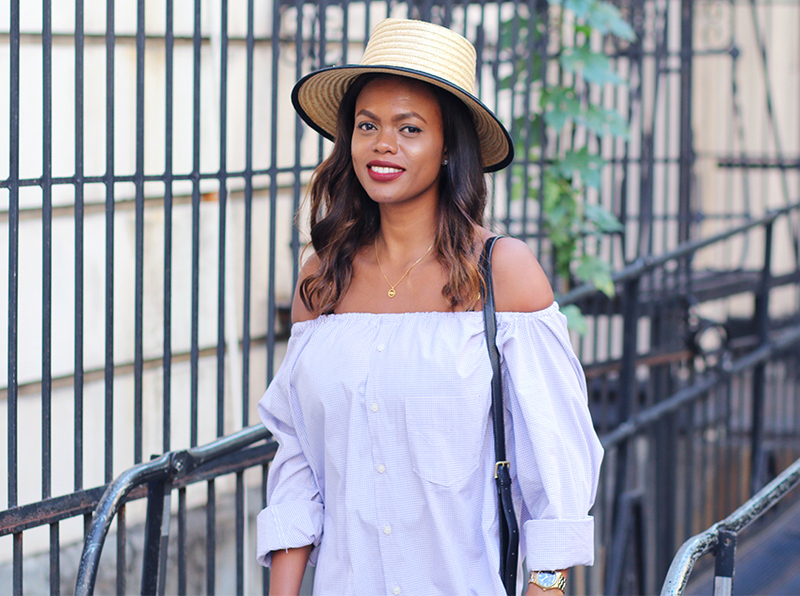 I paired the Off shoulder dress with my Zara fringe sandals, vintage straw hat and Philim Lim bag.